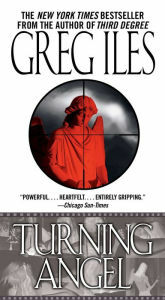 Penn Cage returns in Greg Iles’ novel TURNING ANGEL. Five years have passed since Cage solved a civil rights case that dated back to the 1970s and he has settled into his new life as an author in Natchez, MS. Cage a former prosecutor in Houston is a widower and the father of a young girl. Now a successful author he finds himself a pillar of the community serving on the St. Catherine’s School Board among other official duties. The story begins at a School Board meeting when the school secretary informs the board that one of their students, Kate Townsend has been found dead where St. Catherine’s Creek washes into the Mississippi River. Townsend, a 17 year old senior, valedictorian, and athlete had won a scholarship to Harvard and now is the center of a murder investigation that will rock the Natchez community. Dr. Andrew Elliot is the leading physician in Natchez with a stellar reputation, and like his friend Cage very involved in the community. After the body is found he asks his friend to be his lawyer. It seems that Elliot, entrapped in a poor marriage was having an affair with Townsend and was being blackmailed as he wanted to keep that information quiet. Further, it was Elliot who had found the body and had intimate relations with Townsend two days before the murder. It turns out that Townsend was pregnant and that her mother knew about the affair and did not disapprove. Penn takes on the case and is up against Shad Johnson, the black District Attorney who is no friend of Cage since he believed that five years earlier he had cost him election as Natchez’s mayor. At this time, the current mayor has resigned and a new election must take place within forty five days. Johnson sees the prosecution of a rich white physician as a way to reassert his bonifides with the black community and assure himself the mayor’s office. From this point on the novel which has already engrossed the reader gathers further steam. 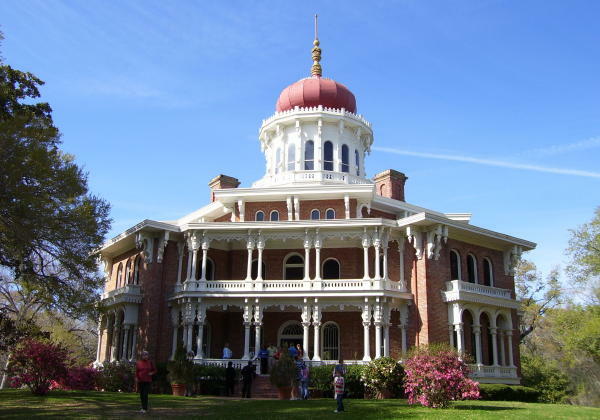 Many of Iles’ characters from his previous Penn Cage novel are major players in TURNING ANGEL, particularly Shad Johnson who has his own personal political agenda and is a thorn in Cage’s side. A number of new ones emerge that are critical to the story. One of which is Quentin Avery, an elderly lawyer who suffers from diabetes. When Cage realizes that he is too close to his friend’s case he hires Avery who agrees to defend Elliot because of his disdain for Johnson and other personal reasons. Employing Avery as his mouthpiece, Iles’ views on black civil rights leaders emerges. He sees a crisis in black leadership and breaks down that leadership into a number of interesting categories. In today’s climate of racial tension with Ferguson, Mo., Baltimore, MD, and events in New York, Iles’ comments are important. He points to a managerial type who pretend that race is not an issue. These individuals want a large white constituency, but also want to keep blacks loyal to them. They tend to be pragmatic and want blacks to join mainstream society. Then you have the black protest leader that is loud and proud that want personal status and power, i.e., Louis Farrahkan and Al Sharpton. They tap into an emotional appeal and can be dangerous. The last category he terms the “prophetic leader” who relies on intellect, someone like President Obama. The jury is still out whether any of these types can be successful, however, thus far their success rests on the pervasiveness of mass market culture and the failure of the black middle class. Throughout the novel the plight of the black community in the south is ingrained in the plot and provides insights into all aspects of southern society. Another theme that pervades the novel is the drug crisis in America’s schools. Iles is a very competent chronicler of events as they relate to the use of heroin, pain killers and ecstasy. By weaving the drug scenario throughout his story he is trying to educate his readers about this crisis and that something must be done to make our schools safe. A lesser theme that Iles explores that emerges in detail toward the novel’s conclusion is that of the Yugoslavian civil war of the 1990s. Though briefly presented its horror still lives on in Croatia, Serbia and throughout the Balkans. Overall, Iles writes in exquisite detail that allows the reader to feel they are personally witnessing the action in the story. This is my second Penn Cage novel and I look forward to reading the other three. Iles is the type of writer that hooks his reader in the first few pages and does not let them go even after the book is completed. The past few weeks has witnessed an increase in violence between Palestinians and Israelis. Palestinians have resorted to lone wolf knife attacks against innocent Israeli citizens and the Israeli response has been to kill the perpetrators on the spot. The lack of any progress toward negotiations is part of the reason for the uptick in violence that has led to the current situation. The current climate of violence and extremism in the region also has contributed to the lack of any progress between the two sides. The failure of the peace process between Israel and the Palestinians since the heady days of 1993 when the Oslo Accords were signed are long gone. It was at that time under the leadership of Prime Minister Yitzchak Rabin that the hope that the conflict might finally be settled was spreading among Israelis and Palestinians, but the assassination of Rabin on November 4, 1995 put an end to the process and led to a spiraling of events that bring us to the current impasse and violence. Understanding the mindset that led to Rabin’s death is important in trying to make sense of the tragedy. For the first time in Israeli history a political assassination occurred whereby an Israeli killed an Israeli. Dan Ephron’s new book, KILLING THE KING: THE ASSASSINATION OF YITZCHAK RABIN AND THE REMAKING OF ISRAEL provides an intimate picture of the fissures that exist in Israeli society and politics. The book would be considered a political thriller if it were fiction, the problem is that the narrative is true. Ephron’s premise that the assassination of Rabin put an end to any realistic peace process following his death is accurate and shifted the Israeli approach to negotiations from the pragmatists like Shimon Peres and Rabin to the ideologues like Benjamin Netanyahu. Critics of the peace process argue that Yasir Arafat would not have delivered on his promises after the signing of Oslo II that gave the Palestinians control of seven cities in the West Bank, including Hebron, in the same way he turned down the deal offered by Ehud Barak and Bill Clinton in 2000. It appeared that a Palestinian state in the West Bank and Gaza was very possible in November, 1995, but because of the actions of Yigal Amir, a religious extremist and ideologue, who assassinated Rabin we will never know. Ephron a Newsweek bureau chief in Jerusalem has written an important book that describes the two years that led up to Rabin’s death and the implications for the period that followed. A period that saw the peace process stymied by violence and intransigence from both sides of the conflict. Ephron describes in detail the right wing reaction in Israel to the secret negotiations that resulted in the Oslo Accords of 1993 between the Israeli government and the Palestinians. He further describes the violence that was initiated by extremists on both sides whether Hamas suicide attacks and Israeli settler actions like that of Baruch Goldstein. 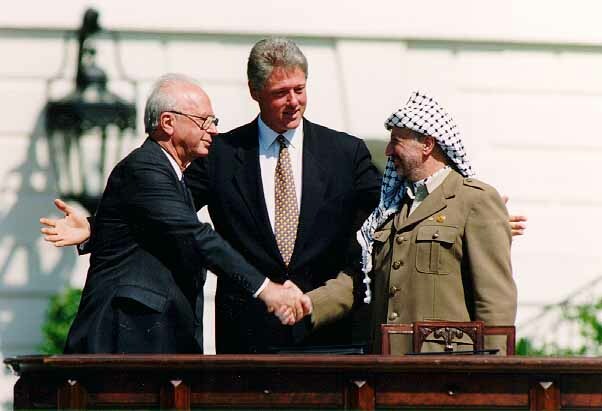 The treaty signing itself is evidence how difficult future negotiations would be as Rabin was very wary of Arafat and the agreement had numerous holes in it that had to be dealt with in future negotiations. But as talks progressed the Israeli settler movement saw it as a threat to their future existence. It would take a long time for the people around the Israeli Prime Minister to realize that he faced extreme danger because of his authorship of the peace process with the Palestinians, once they did Rabin himself did not want to cooperate with increased protection. One thing is clear that as soon as Oslo was made public, Yigal Amir believed that Rabin’s actions were treason. Amir whose family had immigrated to Israel from Yemen, grew up in an ultra-Orthodox Jewish home and attended strictly orthodox schools. Upon graduating from high school he turned down a religious deferment and joined the Israeli Defense Force, spending his time in Gaza during the Intifada of 1988 were his belief that Arabs would kill Jews at every opportunity, was reaffirmed and that only ruthless reprisals would deter them. Ephron does a nice job tracing the evolution of Amir’s beliefs. He came to the conclusion in a broader theological doctrine, “one that empowered him to judge for himself – to “fathom God’s Will” – whether political leaders were honoring the Bible or violating it.” (39) Amir believed that Jews had an obligation to settle the West Bank and Gaza rather than wait for God to secure their sovereignty over the territory and any politician who blocked this went against the will of God. Amir would set up a group of students called, “Students for Security,” and actively worked to create a militia to defend the rights of settlers. As rabbis began to preach that soldiers did not have to obey orders by the government to dismantle settlements arguing, “Even if the king orders you to violate the laws of the Torah, it is forbidden to obey,” fostered an already volatile situation. Amir’s anger was also fueled by the social schisms that existed in Israeli society. Ephron is quite accurate when he describes the resentments that existed between the Ashkenazi, Eastern European ethnicity of Israel’s ruling class up until 1977, of which Rabin was an example, with Sephardim, Jews who had emigrated from Arab countries when Israel was created who suffered many years of discrimination. The fact that Amir’s family was from Yemen just exacerbated his feelings. The core of Amir’s belief rests on the Talmudic argument that would justify his assassination of Rabin. The Talmudic concept of “rodef” referred to a person who pursues another person with the intent to kill them, “rodef” means the pursuer. “The law of the pursuer, or “din rodef” permitted a bystander to kill the aggressor in order to save innocent victims.” Amir rationalized that Rabin fit the definition of “rodef” as his policies were a threat to the safety of settlers in the West Bank and Gaza. Amir also decided that Rabin “was a ‘moser’, a person who handed Jews over to a hostile power, in this case the newly formed Palestinian Authority.” (94-5) Amir argued that he had the right to kill Rabin on order to save the settlers. This argument was already surfacing in the extreme religious press and among certain rabbis thereby reaffirming Amir’s beliefs. Ephron presents a detailed narrative in how Amir stalked Rabin for three years and how he had missed at least three opportunities to kill him. Ephron will take the reader inside the Israeli intelligence community as it belatedly came to realize the threat the religious right presented as they demonstrated and constantly referred to Rabin as a Nazi, a traitor, and murderer at rallies and sit in at his residence and the Knesset (Israeli parliament). Ephron walks the reader through the murder in real time and once it takes place it is difficult for Israelis to accept the fact that one of their own killed the Prime Minister. What is most disturbing about the assassination is Amir’s attitude after he is captured. He is euphoric and proud of himself and firmly believes that he has saved Israel from its own government. Amir details to interrogators his beliefs and exactly how he went about murdering Rabin and shows no remorse. For Amir and his followers “Rabin had defied biblical injunctions and undermined the redemption process that messianists believed had been underway since 1967.” (161) Following the assassination Ephron analyzes the investigations and recriminations that resulted from Rabin’s murder. He also delves into the politics that pitted Peres against Netanyahu that saw the Likud candidate victorious in the next election thereby ending any possibility that peace talks would be successful in the future. The book is very disturbing when one thinks about the future of peace in the region. The current government of Benjamin Netanyahu is dependent upon the right wing settler movement for his coalition government, as was evidenced by his racial appeal during the last election. Netanyahu was a leader of the Likud Party in 1995 and many argue assisted in stirring the pot against Rabin that resulted in his assassination. I cannot imagine that the current Israeli government will take part in any meaningful negotiations, as if it does its coalition would likely collapse. Ephron’s book may read like a political thriller, but it is a description of the reality of Israeli politics and society which seems split down the middle in its attitude toward peace. According to Jay Winik, the author of two bestselling works of history, APRIL, 1865 and THE GREAT UPHEAVAL, during World War II every three seconds someone died. This should not be surprising based on the myriad of books that have been written about the war that fostered mass killing on a scale that had never been seen before. The Nazis perpetuated the industrialization of death almost until they ran out of victims. In the skies the combatants laid waste to civilian areas fostering terror and destruction unknown to mankind before the war. It is with this backdrop that Winik tells the story of World War II focusing on the role of Franklin D. Roosevelt’s decision making and his inability or refusal to lift a finger to assist the victims of Hitler’s Final Solution until it was too late. The book is entitled 1944: FDR AND THE YEAR THAT CHANGED HISTORY, but the title is misleading, because instead of focusing on the watershed year of 1944, the book seems to be a comprehensive synthesis of the wartime events that the author chooses to concentrate on. Winik opens his narrative by describing the Teheran Conference of November, 1943 which most historians argue was the most important wartime conference as the major outline of post war decision making took place. Here we meet Roosevelt, Churchill, and Stalin, before Winik switches to the massive allied bombardment of Berlin that would shatter the faith of the German people in their government, as it could no longer protect them from the developing superiority of allied might. The author offers very little if anything that is new dealing with the war. Its strength lies in its synthesis of the massive secondary literature that the war has produced. Winik has mined a voluminous amount of material, but very little of it is primary and one must ask the question; what purpose does the book have if it adds little that is not already familiar for bibliophiles of the war? I believe the author’s goal is to produce a general history of the conflict that allows the reader inside some of the most important decisions related to the war. Winik writes in an engrossing manner that creates a narrative that is accurate with sound analysis of the major characters and events discussed. The monograph is not presented in chronological order as the author organizes the book by concentrating on the period that surrounds the Teheran Conference of November, 1943 through D-Day and its immediate aftermath for the first 40% of the narrative, and then he shifts his focus on to the Final Solution that by D-Day was almost complete. Most of the decisions involving major battles are discussed in depth ranging from D-Day, the invasions of North Africa and Sicily, to biographies of lesser known characters like, Rabbi Stephen Wise, a leader of the American Jewish community, but also a friend of FDR; Rudolph Vrba and Eduard Schulte who smuggled out evidence of the Holocaust as early as November 1942 and made their mission in life to notify the west what was transpiring in the concentration camps with the hope that it would prod the allies to take action to stop it, or at least, lessen its impact. Much of the narrative deals with the history of Auschwitz and its devastating impact on European Jewry, and Roosevelt’s refusal to take any concrete action to mitigate what was occurring, despite the evidence that he was presented. Winik delves deep into the policies of the State Department, which carried an air of anti-Semitism throughout the war. The attitude of the likes of Breckenridge Long are discussed and how they openly sought to prevent any Jewish immigration to the United States. When the issue of possibly bombing Auschwitz is raised we meet John J. McCloy who at first was in charge of rounding up Japanese-Americans and routing them to “relocation centers” in the United States, and is in charge of American strategic bombing in Europe who refuses to consider any air missions over Auschwitz arguing it was not feasible, when in fact allied planes were bombing in the region and had accidentally hit the camp in late 1944. Roosevelt was a political animal and refused to use any of his political capital, no matter how much pressure to assist the Jews. FDR was fully aware of what was taking place in the camps and did create some window dressing toward the end of the war with the creation of the War Refugees Board that did save lives, but had it been implemented two years earlier might have saved hundreds of thousands of lives. Much of Winik’s descriptions and analysis has been written before and he has the habit of discussing a particular topic with an overreliance on a particular secondary source. A number of these works appear repeatedly, i.e. ; Martin Gilbert’s Auschwitz and the Allies, David Wyman’s THE ABANDONMENT OF THE JEWS, Richard Breitman and Alan J. Lichtman’s FDR AND THE JEWS, James MacGregor Burns’ SOLDIER OF FREEDOM, and Ian Kershaw’s two volume biography of Hitler. There are a number of areas where Winik’s sources have been replaced by more recent monographs of which he should be familiar, i.e., when discussing Hitler’s invasion of Russia in June, 1941 the main source seems to be Kershaw, but David Murphy’s WHAT STALIN KNEW, Andrew Roberts’ STALIN’S WARS, and Evan Mawdsley’s THUNDER IN THE EAST would have enhanced the discussion. In addition, there are many instances when endnotes were not available, leaving the reader to wonder what they have just read is based on. To Winik’s credit his integration of the state of FDR’s health throughout the book is very important. We see a Roosevelt who is clearly dying at a time when many momentous decisions must be made, but the president feels that he was in office when the war began, and he must complete his task. 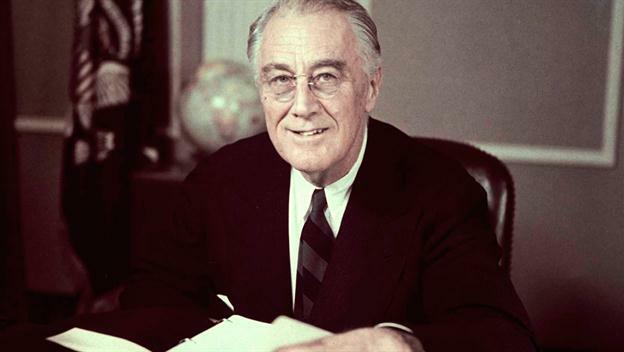 The effect of FDR’s health on decision making and the carrying out of policy has tremendous implications for the history of the time period. One of the more interesting aspects of Winik’s approach to his subject matter is how he repeatedly assimilates the plight of the Jews with other facets of the war. It seems that no matter the situation the author finds a way to link the Holocaust to other unfolding decisions and events, particularly during 1944 and after. The author also does a superb job describing the human element in his narrative. The plight and fears of deportees to Auschwitz, the anxiety of soldiers as they prepare for Operation Overlord, the chain smoking General Eisenhower as he awaits news of battles, and the fears and hopes of FDR on the eve of D-Day are enlightening and provide the reader tremendous insights into historical moments. To sum up, if Winik’s goal was to write a general history of the Second World War, centering on the role of Franklin Roosevelt he is very successful as the book is readable and in many areas captivating for the reader. If his goal was to add an important new interpretation of the wartime decision making centering on FDR and 1944 as the turning point in the war, I believe he has failed. Overall, this is an excellent book for the general reader, but for those who are quite knowledgeable about World War II you might be disappointed. 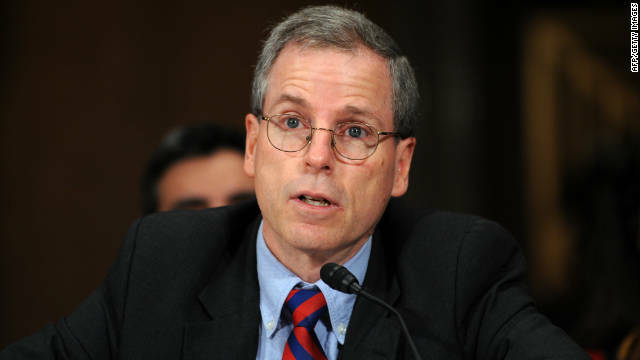 Scott Shane is a New York Times national security reporter whose new book OBJECTIVE TROY explores the evolution of the American use of unmanned aerial vehicles (drones) as its main weapon to counter Islamic terrorism. After invading Afghanistan and Iraq and having both incursions turn out poorly the Obama administration came into office with the fervent belief to avoid further use of “boots on the ground” in any large number in the Middle East. Events in the region did not necessarily cooperate with President Obama’s vision and threats from the region necessitated a shift in strategy. The choice was rather simple; let the jihadists have their way and do nothing or reassert American troop strength. A middle road emerged, that of applying drones to the shifting balance of power in the Middle East and Southwest Asia to decapitate the leadership of groups that threatened the United States in Afghanistan, Pakistan, and Yemen. The implementation of the drone strategy successfully decimated al-Qaeda leadership in Pakistan, but the United States was confronted with a new enemy in Yemen, al-Qaeda in the Arabian Peninsula (AQAP). One of the ramifications of this new geo-political threat was the emergence of Anwar al-Awlaki, an American citizen educated in the United States and Yemen, who headed three separate mosques in America emerging as a radicalized jihadist who would be killed by a drone attack in 2011. The book centers on whether the U.S. government has the constitutional right to assassinate an American citizen if it deems them a threat to its national security. Shane explores the rise of al-Awlaki as a person who opposed the 9/11 attacks in 2001, seeing himself as a bridge between Islam and America. 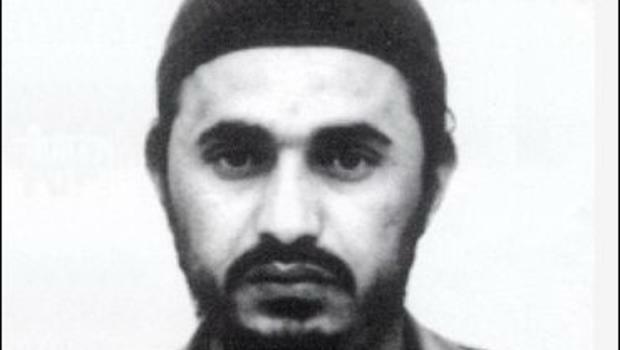 However, by 2005, after the U.S. invasion of Iraq, U.S. support for Yemeni dictator Ali Abdullah Saleh, and his stay in London where his students were much more radical than those in the United States, al-Awlaki grew increasingly radicalized and became a jihadi spokesperson who by 2007 was calling for attacks against the United States as he concluded that his religious beliefs and the ummah (community of believers in Islam) took precedence over his loyalty to his country. 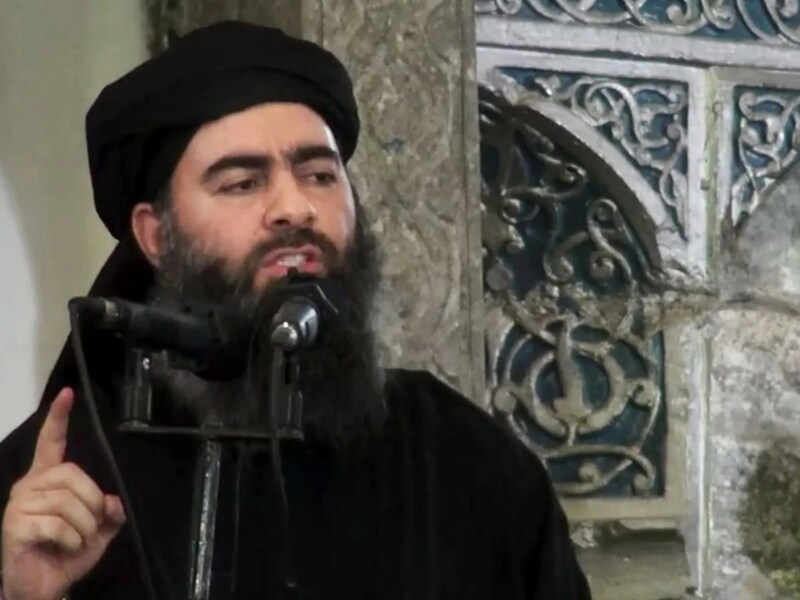 After fleeing the United States because the FBI had learned he was not following his own moral code by engaging his sexual appetites he grew increasingly strident in calling for jihad against America. 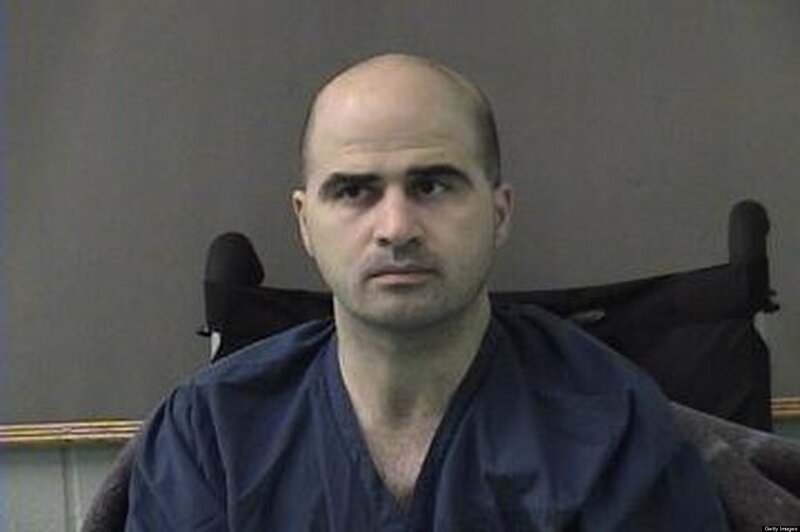 Once he was linked to Nidal Hasan’s attack at Fort Hood, TX, and Abdulhakim Mujahid Muhammad’s attempt to blow up an airplane with 289 passengers as it approached Detroit’s Metro Airport at Christmas in 2009, the Obama White House realized what a threat he had become. Further examination brought the realization in the Justice Department that it seemed no matter what the incident, be it 9/11, or other operations, Anwar al-Awlaki’s name seem to come up. The question for President Obama was how to counter act the growing threat. 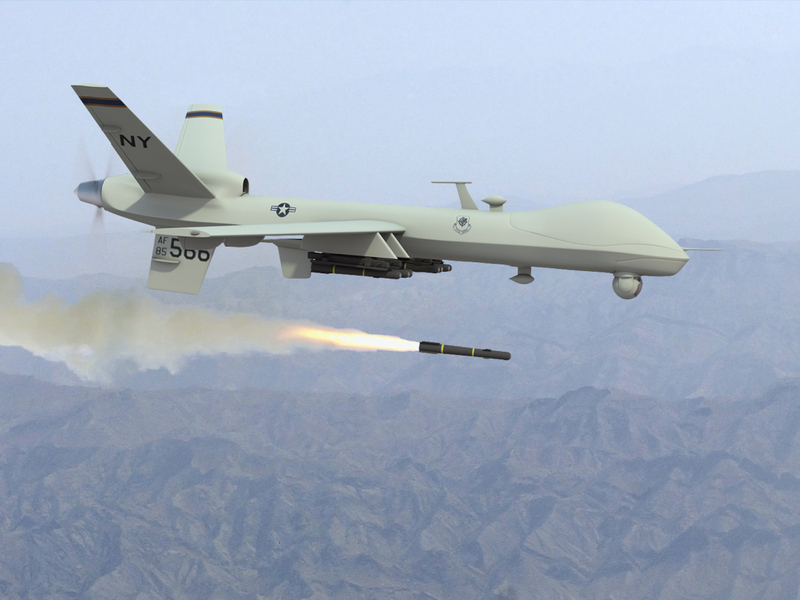 Shane explores the evolution of Obama’s thought process and the Justice Department’s reasoning as to the legality of killing an American citizen and the morality of killing by remote control. He discusses Obama’s comments as a law professor, state senator, and United States Senator to formulate how to deal with extremism. He approved of the attacks on al-Qaeda and the Taliban after 9/11, but was against President Bush’s detention, rendition, and interrogation program which he immediately eliminated upon assuming the presidency. However he did not do away with the drone program. Obama was not an ideologue as some on the right have painted him, but a ruthless pragmatist when it came to the use of drones. Obama’s Justice Department’s finding concluded that al-Awlaki could be targeted because he posed “a continued and imminent threat” to American national security. 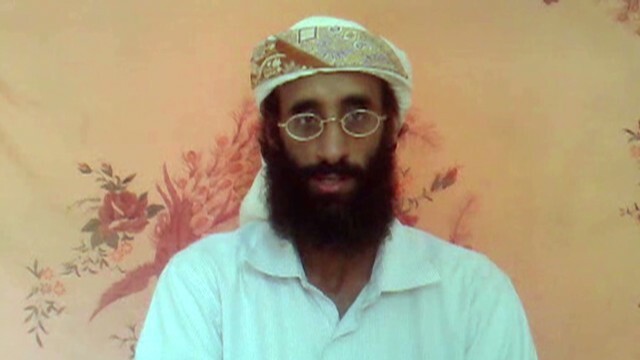 In 2008 al-Awlaki set up a web site that markedly expanded his exposure “as his Islamic teaching was kindling volatile emotions across the English speaking world.” (177) His lectures appeared on You Tube and the Internet reaching everyone interested in his message, a message that was successful because of American actions in Iraq and Pakistan. His further success was due to his command of English and his knowledge of Arabic sacred texts, along with his disarming informal way of speaking. He employed the motivating power of religion with the universal quest of the young for identity as he created an attractive message for disaffected Muslims who saw him as their spokesperson, and many were willing to answer his call for jihad. Perhaps al-Awlaki’s most successful propaganda tool was his creation of Inspire, an online magazine that was written in a breezy style to promote suicide bombings and other terror tactics. Shane discusses its slick presentation and internet appeal providing instructions on how to make a bomb and calling for attacks against the west. Shane goes on to discuss the effect Inspire had on jihadi recruitment, future attacks, and how the western intelligence community tried to figure out how to respond. Shane does an exceptional job summarizing the constitutional arguments for and against the use of drones. 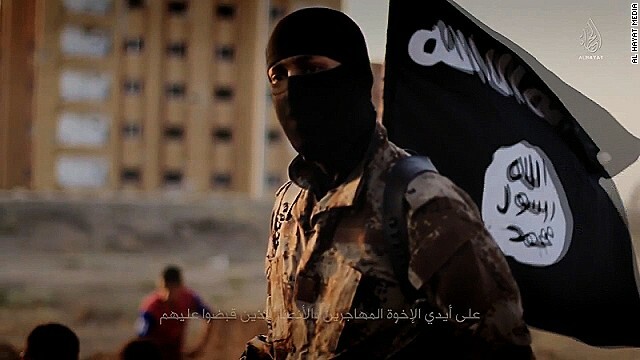 He also discusses the legal arguments that were pursued by Anwar’s father, Nasser al-Awlaki who went to federal court to try and get his son removed from the drone “kill list.” Shane is very effective in discussing the legal nuances and reasoning whenever he brings up the constitutionality of whether an American citizen could become an assassination target by its government. 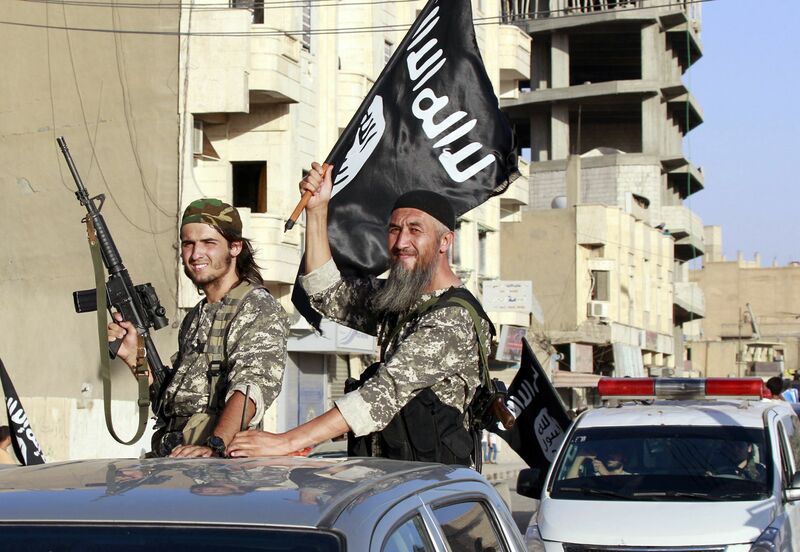 By 2010 AQAP was a greater threat to the United States than al-Qaeda. With the links between the Detroit bomber and Fort Hood killings it was just a matter of time before the United States would kill al-Awlaki. 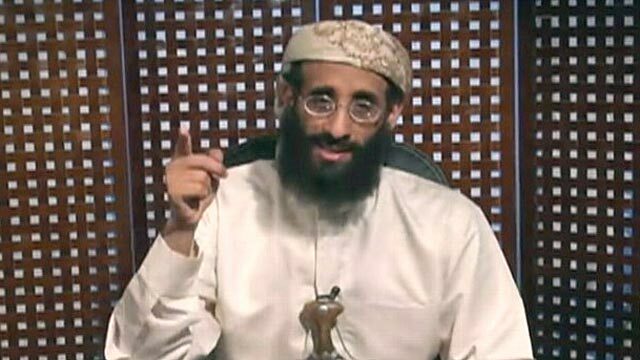 In the end al-Awlaki has probably had a greater impact on the Jihadi world in death than when he was alive. His life, writings, and speeches continue to carry a great deal of influence on the web where he has an achieved a “prophetic martyrdom.” All you have to do is point to the Boston Marathon bombers-the Tsarnaev brothers who learned how to make a bomb from a pressure cooker on al-Awlaki’s website. Shane has written a very useful book that provides a great deal of insight into Obama and al-Awlaki and their approach to dealing with events in the Middle East. Further, he has provided a strong narrative for the reader to understand the future legal implications of what Obama has done by targeting the Muslim preacher. If there is a major criticism I can offer concerning the book it would be the illogical chronological approach that Shane presents. Approaching al-Awlaki’s life by offering his middle years first, leads to repetition as he discusses the other stages of his development. A straight chronology would have greatly benefited the reader in understanding the main subject of the book. Apart from that, I recommend Objective Troy to anyone who wants to understand the constitutional, social media, and world political issues that confront the United States in a region that brought us the “Arab spring,” but continues to fall into chaos.